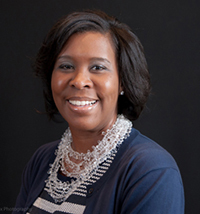 Mekeisha Williams currently serves as the Assistant Vice President, Learning and Organization Development, for Duke University and Health System. Her current department provides services to the University and Health System through three prongs: Leadership Development, Professional Development, and Consulting Services. In her role she collaborates with colleagues in quality performance improvement to design and implement process improvements where needed, ensures alignment of talent management activities across the enterprise, provides learning development strategies and programs that deliver business results, and continually assesses organizational status in terms of talent utilization, performance development, capacity, motivation, and other organizational effectiveness indicators. She previously served as the Executive Director of University Organizational and Professional Development at Virginia Tech. A few of the core initiatives that she spearheaded for the university are the succession planning efforts and a periodic review process for senior level administrators. Previously she helped found the Emerging Leaders in Public Health (ELPH), a minority-based leadership program focusing on managing through financial, human resource and communication crisis; and Management Academy, a program focusing on management and the development of a business plan at the University of North Carolina at Chapel Hill. Through her work with executive programs she specializes in ongoing leadership coaching to groups and individuals. She is a certified provider of the Meyers Briggs Type Indicator, Fundamental Interpersonal Relations Organization-Behavior (FIRO-B), Discovery Leadership Profile (Decision Style Profile), and Press Time simulation for team building and strategic planning. Mekeisha is also Development Dimensional International Certified (DDI) in courses such as Delegating for Productivity and Growth, Guiding Conflict Resolution, Preparing Others to Succeed, Core Skills for Building Commitment, Leadership: Facilitating Change, and the Empowering Leader, she provides individual counseling and group workshops on leadership development, team building, communications, and interpersonal relations. She is a certified executive coach for 360 leadership profiles, DiSC, Strengths Finders, and many more certifications. Mekeisha has written and received grants from the W.K. Kellogg foundation and Center for Disease control to create leadership development programs that surround business planning and "Managing in times of crisis". She has worked with various organizations such as the Dana Farber Cancer Institute, Commission of Indian affairs, Minority Health Council, Blue Cross and Blue Shield, Omaha Public Health Institute, UNC Chapel Hill Public Health Institute, Novant Healthcare systems, North Carolina Department of Health and Human Services, and many more developing leadership institutes. Mekeisha received an undergraduate degree in Political Science from UNC-Charlotte with a minor in Spanish and a master's degree in Public Administration from North Carolina Central University; she is currently pursuing her PhD in Public Administration and Policy Studies at Virginia Tech.